If you are looking for a way to make some cash and fill up your car full of gas at the same time, try the Oil Mania Slot game to see you on your way. With flowing oil wells and plenty of cash payouts, this is an entertaining way for you to enjoy your slot gameplay. 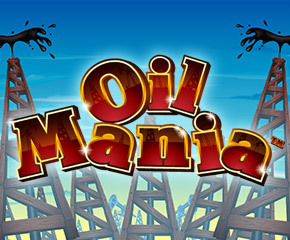 Oil Mania Slot has been designed by NextGen Gaming and seems to have been optimised for the mobile. This Australian based game development company has made many interesting themed games for online casino players to enjoy and this one is yet another great addition to their repertoire. 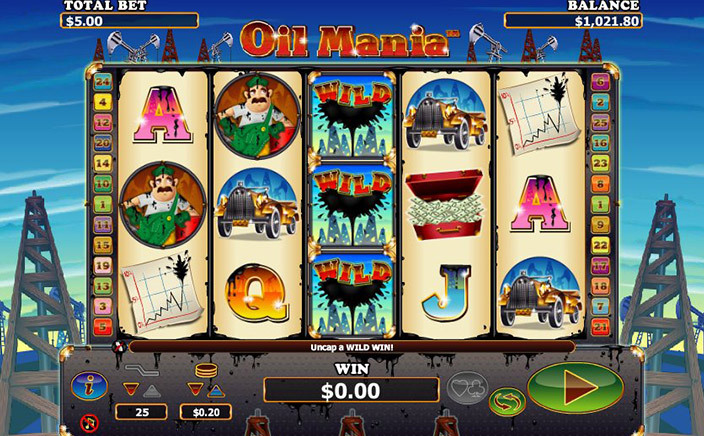 Oil Mania Slot has 5 reels, 3 rows and 25 paylines and has its theme as that of oil extraction. So you can see a lot of symbols pertaining to that theme, including oil tycoons, oil wells and other such symbols. These are made so that you can get a lot of rewards in the game as you play. To play, put down a stake on a spin and turn the reels to see what symbols the reels are willing to offer you. The high value symbols will help you win a jackpot if you manage to get five matching symbols. · Wild substitutions: The wild symbol on the reels is what helps to complete the paylines that you find on the reels so that you can make a matching payline and win some cash. · UpWild feature: The oil tycoon is the wild symbol of the game and if you get this symbol you will see oil flowing out of the bottom of the reels right through to the top. This adds wilds to the reels so that you can get a free spin. You can win a maximum of three free games in this way. You can also see more wilds during the free game round and that lets you start the upwild bonus all over again. Once you have used up all of your free games, your game is reset to normal once again. Oil Mania Slot has a lot of fun and excitement even if it manages to do so with just the one bonus feature: The UpWild feature. The RTP of the game is 95.66% and that means that you can get some good returns on the game. The three free spins in the game can be used towards your wins and with a jackpot of 500 coins you may not be much enthused, but it makes for some very entertaining slots action if you are just looking to relax with a game.